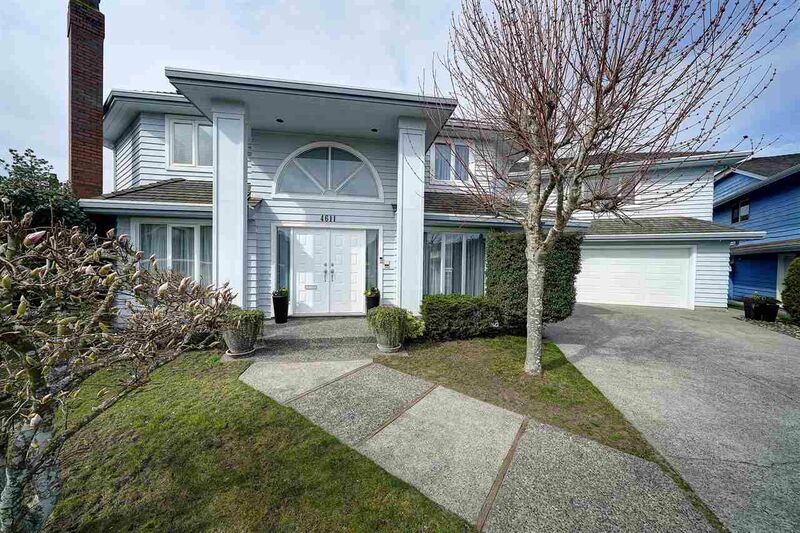 Executive family home in desired STEVESTON NORTH neighbourhood close to Diefenbaker Park. Enjoy all that Steveston Village has to offer. This quaint fishing village where you buy fresh fish on the wharf, restaurants, antique shops, boats, great fish & chips & boardwalk. Great location on quiet street, safe, at the end of the cul-de-sac, & completely private back yard with mature hedges. Pride of ownership; meticulously maintained. Grand foyer entry with high ceilings & curved hardwood staircase. 4 spacious bedrooms up with den on main that could easily be a 5th bedroom plus large 21'x16' recreation room above the garage. Large driveway for four cars plus two car garage with side entry to mud room. See video!